Lostwithiel has a long-standing tradition of giant making that has declined in recent years. 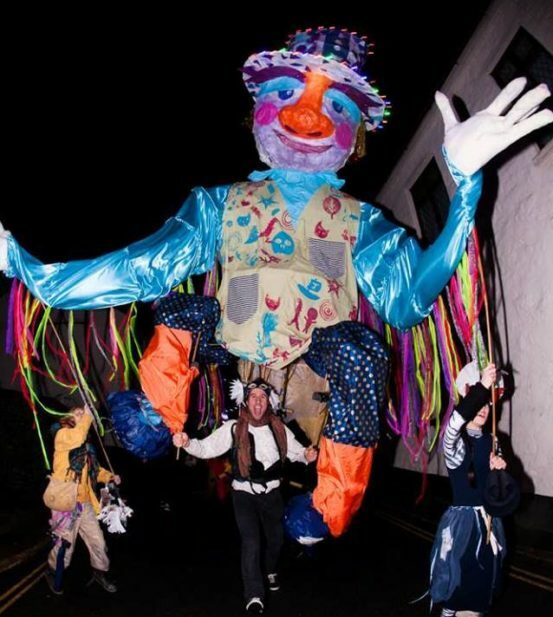 The Giant has been the focal point of a New Years Giant Procession through the town. A grant award of £500 from The Jack Moon and Lors Fund, a fund that supports community projects in Lostwithiel, has enabled a group of local volunteers, the Lostwthiel Giantmakers, to come together to revitalise the Giant. The group will engage with the wider community to share the skills to keep this valuable tradition alive. The Giantmakers are putting on two community workshops on December 31st bringing in professional makers, providing materials so local people can lead and grow the tradition in years in future years. The giant making workshops will be free of charge to attend.